11 Fantastic free Kindle History Books for Friday! *Incredulous by Joseph “5 Eagles” Reyna, Mark Rice. Price: Free. Genre: Historical Christian Thriller, Sponsor, Adventure, If you like Dan Brown, History. Rated: 4.9 stars on 14 Reviews. 386 pages. ASIN: B01EP7CD3K. Posted on July 14, 2018 Author KibetCategories Ancient Times, Ancient World, Free Kindle History Books, HIstorical, Historical Fiction, HIstoryLeave a comment on 11 Fantastic free Kindle History Books for Friday! 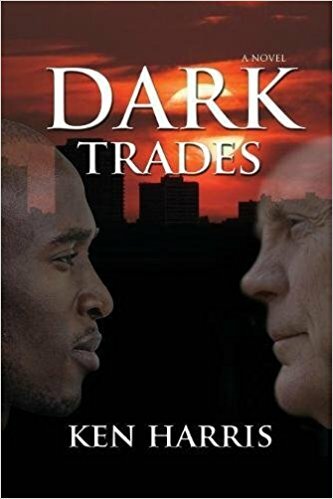 *Dark Trades (Deal, Not Free) by Ken Harris. Price: $17.95. Genre: Alternative History Book Deal, Sponsor, Confederacy Defeated the Union in the Civil War, Slavery is still legal. Rated: 5 stars on 1 Reviews. 370 pages. ASIN: 1943258406. *The French Revolution and Napoleon by Charles Downer Hazen. Price: Free. Genre: History, Europe, France, World, Revolutionary. Rated: 4.2 stars on 65 Reviews. 112 pages. ASIN: B074DQC2SM. Six Wives: The Women Who Married, Lived, And Died For Henry VIII by Michael W. Simmons. Price: Free. Genre: Biographies & Memoirs, Historical, Europe, Great Britain. Rated: 4.7 stars on 7 Reviews. 176 pages. ASIN: B06XS5F36V. Queen Victoria: Icon Of An Era by Michael W. Simmons. Price: Free. Genre: Biographies & Memoirs, Historical, Europe, Great Britain. Rated: 4.3 stars on 4 Reviews. 174 pages. ASIN: B06W2MVP6P. Posted on August 5, 2017 Author KibetCategories Ancient World, Free Kindle History Books, HIstorical, HIstory, WarLeave a comment on Kindle History Deals for Friday! ***U.S.S. Seawolf: Submarine Raider of the Pacific by Gerold Frank, James D. Horan. Price: Free. Genre: History, Americas, United States, 20th Century. Rated: 4.5 stars on 463 Reviews. 193 pages. ASIN: B07499NTWZ. *Thank You: A Tribute to Chris Cornell by The Fans and Friends of Chris Cornell. Price: Free. Genre: Arts & Photography, Music, History & Criticism. Rated: 5 stars on 4 Reviews. 567 pages. ASIN: B073SLDV98. *I Stood With Wellington by James Mace. Price: Free. Genre: History, Europe, Great Britain. Rated: 4.3 stars on 61 Reviews. 439 pages. ASIN: B00AFDH2O4. Posted on August 4, 2017 Author KibetCategories Ancient World, Free Kindle History Books, HIstorical, HIstory, WarLeave a comment on Kindle History Deals for Thursday!